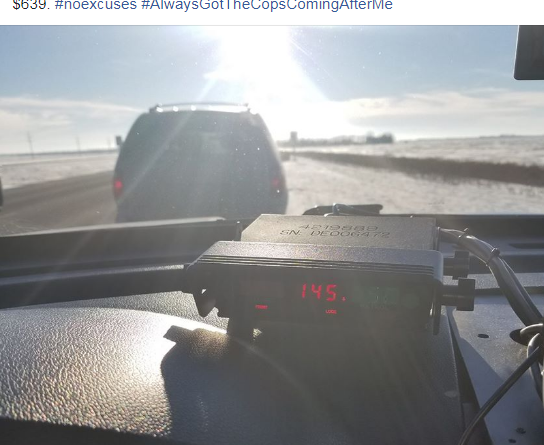 Cops in Manitoba pulled over a guy for going 90 miles-per-hour, and when they asked for an explanation, he said he couldn’t help it, because “Kickstart My Heart” by Motley Crue came on the radio. And he wasn’t lying. 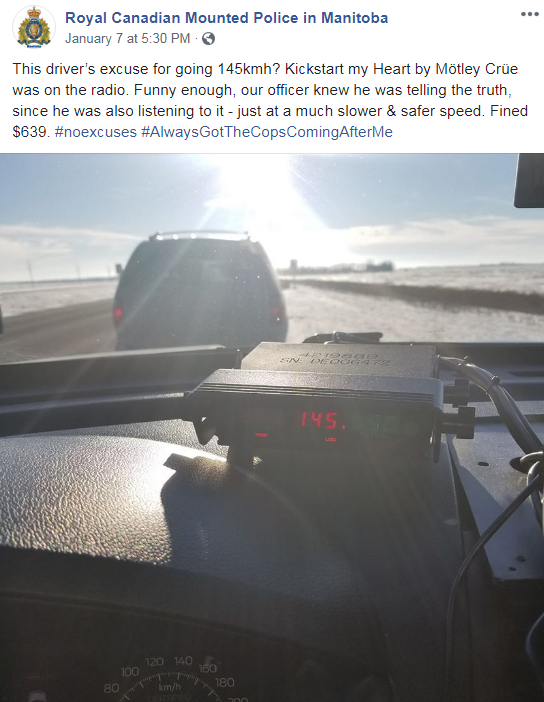 The cop knew he was telling the truth because he was also listening to that station. But all that honesty didn’t get the guy a warning, the cop still wrote him a ticket worth $482 in American dollars.